Join the nation’s largest gathering of Black professionals in philanthropy at ABFE’s 2019 “HARAMBEE- LET’S ALL PULL TOGETHER” on April 4 – 6th in Detroit, Michigan. 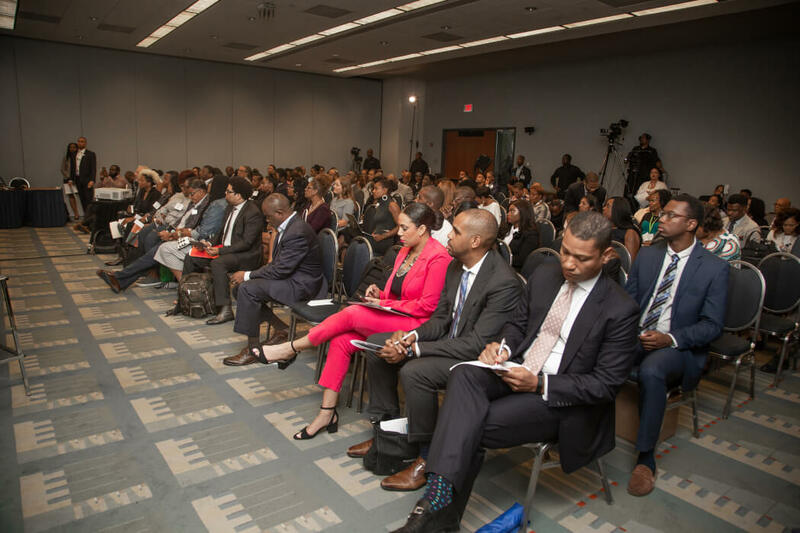 ABFE will present its members, stakeholders and partners a vigorous agenda—aimed at increasing public and private investments in Black communities. HARAMBEE- LET’S ALL PULL TOGETHER is a Kenyan tradition of community self-help, fundraising and or development. Its’ literal translation in Swahili is “all pull together”. From its inception, ABFE has served to be a vehicle for leveraging resources for the betterment of Black communities. The shared values of unity, organizing and the pooling of resources are central to ABFE’s 2019 Annual Conference. ABFE’s 2019 Conference will feature signature events and member favorite—the 28th Annual James A. Joseph Lecture & Awards Program, which honors those who are leading philanthropy and at the forefront of cutting-edge philanthropic strategies that support Black communities. Established in 1971, ABFE is a membership-based, philanthropic and nonprofit organization advocating for responsive and transformative investments in Black communities. Partnering with foundations, nonprofits and philanthropists, ABFE provides its members with professional development and technical assistance resources that further the philanthropic sector’s connection and responsiveness to issues of equity, diversity and inclusion. Rooms at Detroit Marriott at the Renaissance Center are available while they last at the special discounted group rate of $159/night. To book, please call The Detroit Marriott at the Renaissance Center Hotel’s Reservation Department at (877) 901-6632 (to get this special rate, please let the agent know you’re booking under “ABFE Annual Conference”). *As of March 12, 2019, the ABFE group rate will no longer be available on the hotel’s site, Marriott.com. 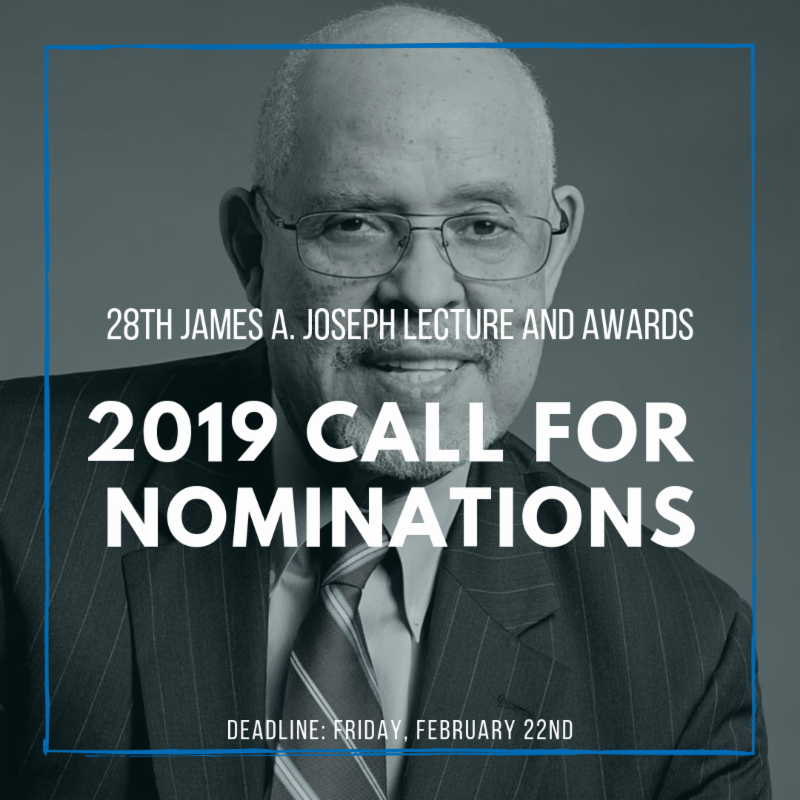 ABFE is pleased to announce our 2019 Call for Nominations for the 28th Annual James A. Joseph Lecture & Awards Program and Dinner. This signature event, taking place during our 2019 Annual Conference, “Harambee: Let’s All Pull Together,” will include the keynote James A. Joseph Lecture on Philanthropy, as well as remarks from the Emerging Leader in Philanthropy Award and the Institutional Award for Philanthropic Leadership recipients. To read more on last year’s recipients, click here. The application deadline is on Friday, February 22, 2019. If you have any questions, please feel free to contact us at conference@abfe.org. For more information on sponsorship opportunities, please download the packet below and contact Seitu Jemel Hart, Vice President of Membership & External Affairs, at sjhart@abfe.org or 646.392.9872. Grassroots Leaders powering their community change. The voices of youth/next generation leaders is also desired. We greatly appreciate your investment of time in submitting a proposal (or two). Unfortunately, we will have limited time and space, and won’t be able to accommodate all of the submissions. We will select sessions that best fit our vision for the conference. If selected, ABFE will work with the session curators to create an ideal session for 2019! You’ll be responsible for covering your travel costs. Very limited resources are available for speakers that might have limited travel budget. 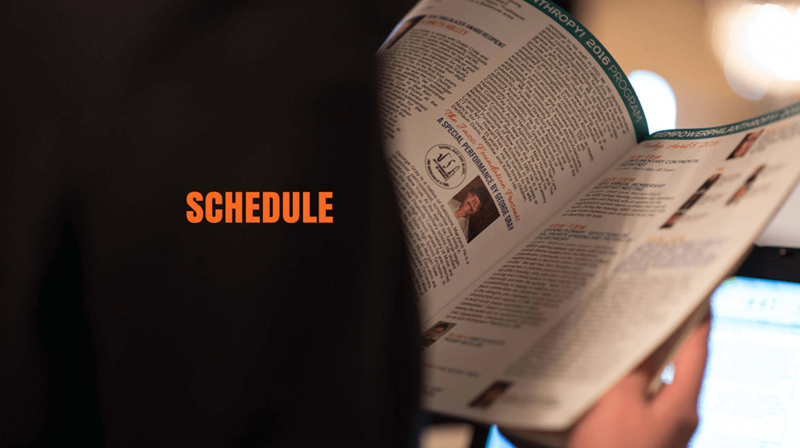 Session times, titles & descriptions may need to be modified to accommodate timing & placement in the agenda. There might be opportunities to collaborate with another colleague, with a similar submission topic. We ask that you are amenable to collaborative opportunities, should we decide to accept & merge similar concepts. Deadline: Submit your proposal by FRIDAY, JANUARY 18, 2019. ABFE will contact you within two weeks of closing date whether or not your proposal has been selected. For inquiries, please contact us at conference@abfe.org. 2018 © ABFE. All rights reserved.